I am a Private Pilot. I have stayed in Calgary for a year and a half. I have stayed with a Canadian couple who has a GPS in their car. Though they fairly know what is located where in Calgary, they still find their GPS useful sometimes. I stayed in the area called tuscany which is in the NW and have travelled to downtown, crowfoot, shaganappi, international airport on my own. With them I have been to NE and SE, with the help of a GPS. The GPS is really a handy thing to carry along when driving along the streets of Calgary. What with streets shooting out from every avenue, its a gift to own a gps to end up at the right place. I would really recommend the use of a GPS or a detailed map showing the location where you want to go. Even Google Earth can come a lot handy during travelling through calgary. Sorry I don't have a pic. Have a good experience. Barry's Response - Thank you Sushant. 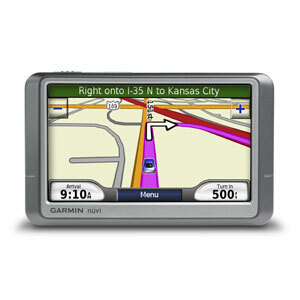 I have bought one of those recently, a Garmin Nuvi, and find it an interesting piece of travelling apparatus. Have not left town with it yet but someday soon.